Alberta’s households will be hit the hardest by interest-rate increases, adding a major hurdle in the province’s ability to recover from the oil crash, according to the Royal Bank of Canada. The Bank of Canada’s expected moves in coming months will affect families in Alberta more than in provinces with notoriously overpriced housing markets because a borrowing spree during the oil industry’s boom raised their average indebtedness to the highest in the country, RBC Senior Economist Robert Hogue stated in a research report. A 1% increase in interest rates would add $1,200 in annual debt-service costs to the average Alberta household, compared with $1,100 in British Columbia and $1,000 in Ontario, Hogue said. Households in the rest of the country would see debt-service costs rise $800 or less. Canada’s household debt levels, among the highest in the developed world, are taking center stage after the central bank lifted borrowing costs and governments imposed restrictions on mortgage credit, making it more expensive to service existing liabilities and harder to refinance. Tighter conditions may crimp Canada’s economy, which has relied on consumer spending and gains in real estate for growth over the past several years. The Bank of Canada will probably raise its benchmark rate to 1.75% by the end of this year, from 1.25% now, according to the median of 16 forecasts in a Bloomberg survey of economists. The next decision is April 18 in Ottawa. A booming provincial economy and strong income gains before the oil price collapse that began in 2014 emboldened Albertans to amass significant debt, Hogue said. Average household liabilities in the province rose to $192,000 in 2016, from $164,000 in 2010, he added. This is in comparison with $174,000 in British Columbia and $154,000 in Ontario. Other provinces are “well below” the national average debt load of $141,000. In addition, Albertans may feel the impact of higher rates sooner, since 18% of mortgage borrowers have terms of 2 years or less, by far the highest share in the country, according to Hogue. 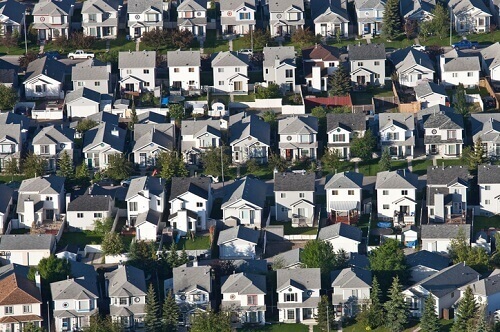 The average household in Alberta had $124,000 in mortgage debt, with other debt such as term loans, credit lines and leases amounting to $68,000. Debt-service bills in Alberta, as well as in British Columbia and Ontario, will get larger as interest rates increase. That’s “bound to cause many households to spend more cautiously on other goods and services,” Hogue explained.